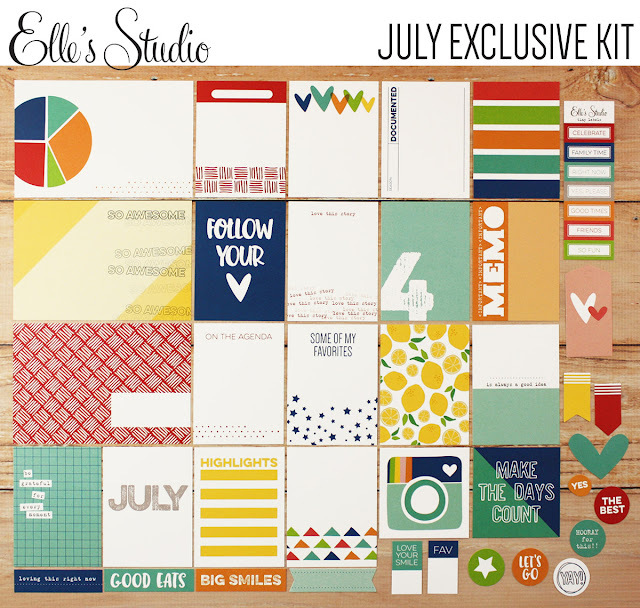 Elle's Studio | July Kits & Projects + SALE! Happy Sunday! And happy July 10! The Elle's Studio July Kit has just GONE LIVE and you guys are going to LOVE IT! Here are all the little extras (stamps and acrylic & veneer pieces) that are available with the Main Kit this month...plus, a pie chart! ACK! So so good! 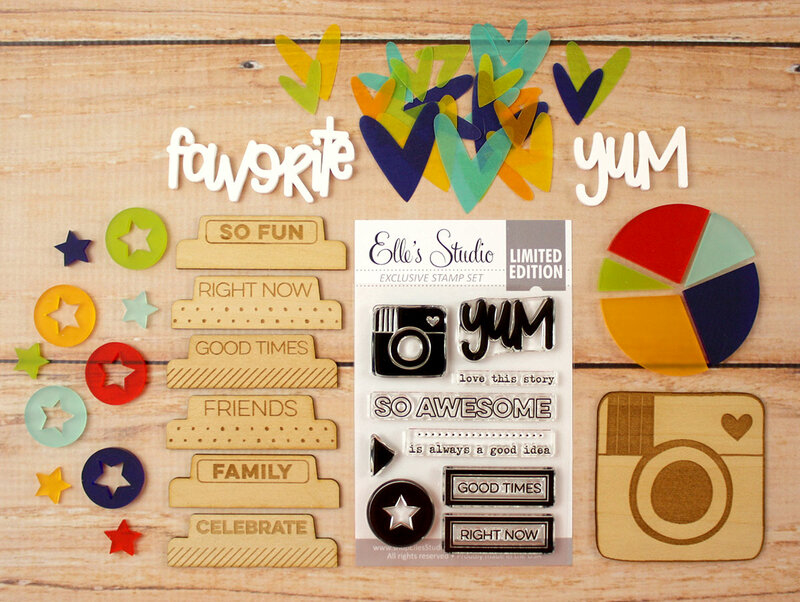 And here are this month's printables and digital cut-files...perfect for documenting every little part of your summer! For more info on these projects - and to see the rest of the Design Team's projects, click here to be taken to the DT Gallery. - Select Acrylic Sets have been RESTOCKED! ...click on each item to be taken directly to the sales. This is such an exciting month at Elle's Studio! Don't wait too long to get your hands on all of this new stuff! 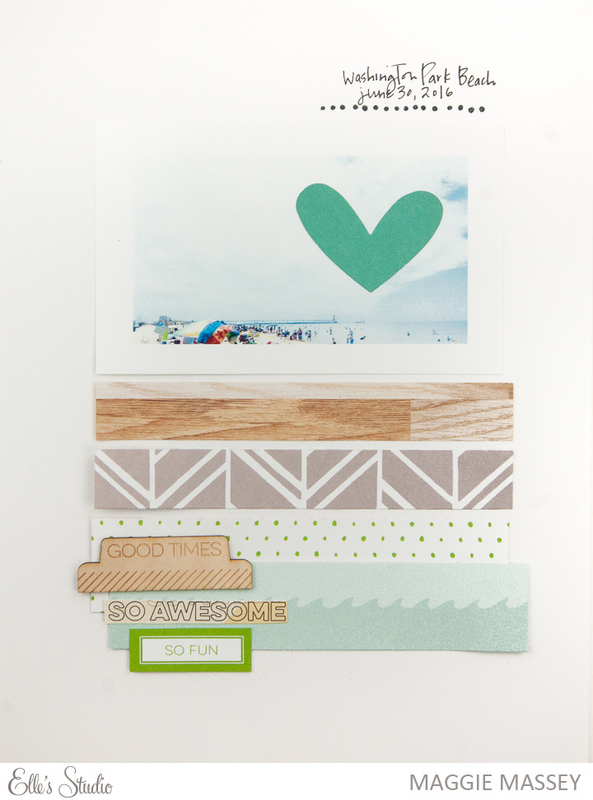 ...don't forget: the limited edition, the exclusive July Kit is on sale right now for $9.99 - but at midnight PST that price will change to $11.99 - so make sure to get yours! Kit add-ons (which are created to coordinate with the main kit) are also limited and will no longer be available once they are sold out...don't wait!